Real muskrat jacket for women. You are bidding on a short muskrat jacket in light brown. The jacket is in a neat and good condition. The skins are silky smooth, clean and well maintained. The jacket can be closed with 2x hooks and 1x hook on the collar. It has 2x side pockets. The lining is brown, shiny and in a neat and good condition. On the right sleeve, the jacket has a small unevenness in the fur! see pictures! PLEASE COMPARE MEASUREMENTS BEFORE BIDDING! 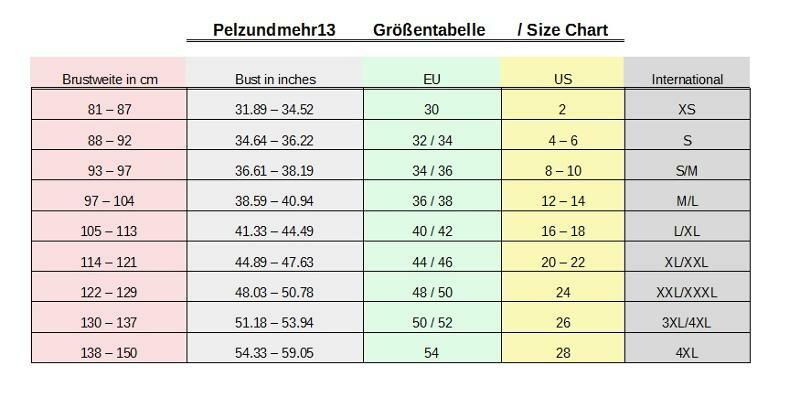 International sizing may show differeneces. Any additional VAT or US Customs Handling Charges are buyers responsibility. Shipment to the US valued at $800 or less are VAT free. UPS Express shipping! 2 – 4 working days! 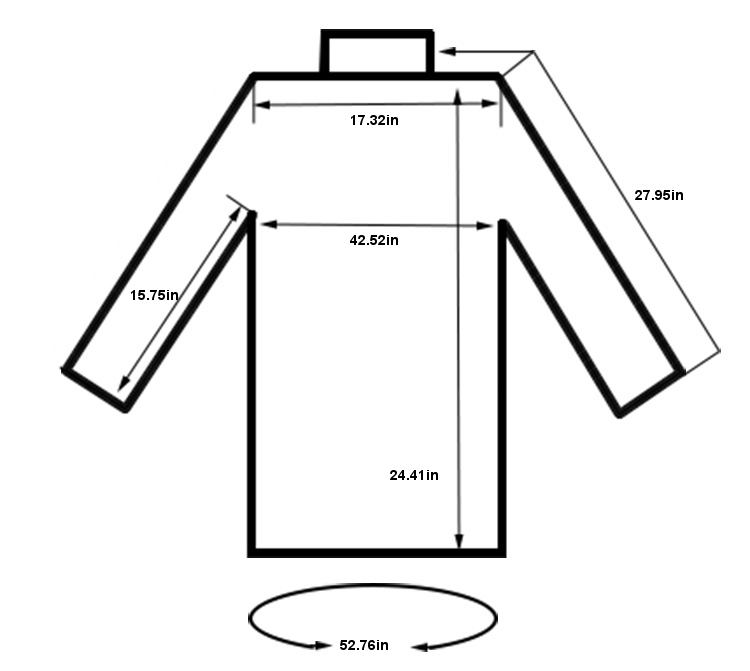 Total length from collar to hem: approx 62cm / 24.41in. Sleeve length from collar: approx 71cm / 27.95in. Underarm length: approx 40cm / 15.75in. Chest band (button up): approx 108cm / 42.52in. Total Hem - Sweep width: approx 134cm / 52.76in. Shoulder to shoulder: approx 44cm / 17.32in. Our model is 177cm / 69.68in tall with shoes. Echte Bisam Jacke für Frauen. Sie bieten auf eine kurze Bisam-Wamme-Jacke in hell-braun. Die Jacke ist in einem gepflegten und guten Zustand. Die Felle sind samtweich, sauber und gepflegt. Die Jacke kann mit 2x Haken und 1x Haken am Kragen geschlossen werden. Das Innenfutter ist braun, glänzend und in einem gepflegten und guten Zustand. Am rechten Ärmel weist die Jacke eine kleine Unebenheit im Fell auf! siehe Bilder! Wichtig: Bitte Maße beachten und nachmessen! Die Bilder können farblich ein wenig abweichen. Es handelt sich hier um circa Maße. Rückenlänge ab Kragen: ca. 62cm. Ärmellänge ab Kragen: ca. 71cm. Das Model ist 177cm groß mit Schuhen. Do you want to buy more parts and save shipping costs? Write me and I'll tell you how it goes! Please choose "pay now" only after the purchase of the last article in order to summarize all items of the first auction. You can then enter the desired delivery address. The VAT is not deductible, because I am subject to the differential taxation according to § 25a Value Added Tax Act (UStG). Please read the Terms and Conditions before you bid! It is used goods, which may have slight traces of use. The buyer bears the cost of customs duties! WASHINGTON — As agreed in the Trade Facilitation and Trade Enforcement Act of 2015 , signed by President Barack Obama Feb. 24, US Customs and Border Protection (CBP) announced that March 10, it raised the value of a shipment of merchandise imported by one person on one day that generally may be imported free of duties and taxes from $200 to $800. Die Mehrwertsteuer ist nicht ausweisbar, da ich der Differenzbesteuerung gemäß § 25a Umsatzsteuergesetz (UStG) unterliege. * UPS: USA, Australia and Canada Express-/SAVER-shipping! Customer reviews for "US480 Dressy Muskrat Fur Jacket Musquash Coat Pelliccia Bisam Pelzjacke ~ L 16"